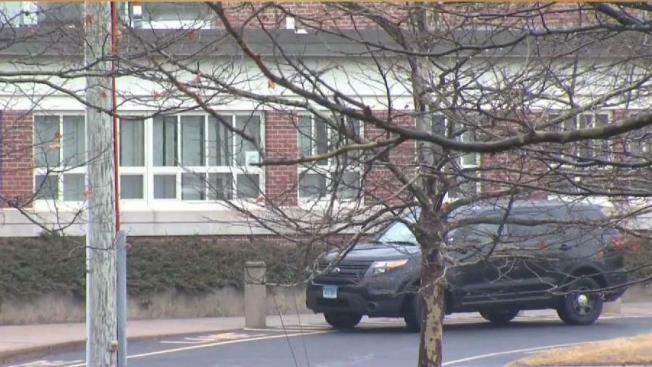 All Avon public schools were placed on soft lockdown Friday morning after a sticky note with what appeared to be a threatening message was found, but police said there was no threat. Authorities said a member of the cleaning staff at Quest Diagnostics on West Avon Road was concerned about his young children after the school shooting in Florida and had written down something he saw in a television report because he wanted to get a translation to see what it meant. Police said they responded to Quest Diagnostics after finding a sticky note with the message “Our (expletive) school is getting shot up,” and they determined that the man had seen it in part of a newscast that reported on a Snapchat video of classmates hiding. The man told police he wrote the caption down to translate it because he was worried about his young children and did not know what the message meant, according to police. Police saw a translation app the man had used on his phone, which they said confirmed the man’s claims. Avon’s interim superintendent, JeanAnn C. Paddyfote, released a statement Friday morning about issuing the lockdown. “We would like to inform you that the Avon Police Department became aware of a generalized threat found in the community. The threat was not specific to any school. However, as a precaution, we are placing the schools in a soft lockdown. The Avon Police Department will have a presence at all the schools,” the statement from Paddyfote said. A follow-up message the superintendent sent to parents said police recommended that the lockdown be lifted.